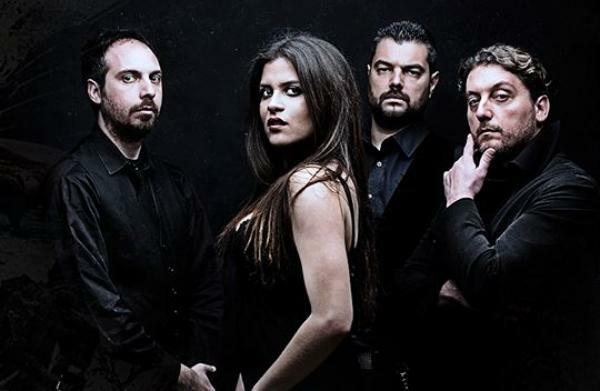 “Caelestia” (ex Me and Myself) is a Greek metal band, initially formed in April 2012 by singer/songwriter Dimitra Vintsou and bassist/composer Nikos Palivos. The rest initial members of the group included Harris Kiriakopoulos – Guitars, Panos Varvaropoulos – Guitars and Aggelos Kousakis – Drums. The first full demo recording started at once, which included the final nine songs, and subsequently proceeded with the recording of the band’s first studio album, named “Last Wish”. The album contained two particular songs, “Last Wish” and “I Wonder How Far”, in which two well-known artists of the Greek alternative metal scene participated, thus Johnny Camp (ex-Closer-Syde) and George Prokopiou (POEM-Mother Of Millions). The album was released under IKK PRODUCTIONS. The title song “Last Wish” became the band’s first official video, which was directed by Christos Tsoukalas (Basement Studios). During the album-recording period, the band’s song “Me and Myself” took part in MusicWave’s “Big Buzz” competition (song of the month), and finished first place, with a wide lead. Caelestia has appeared in many live stages, but the most stand-out live performances of the band were in Katatonia concert in Athens Gagarin 205 Club, as a supporting act, along with “Maplerun” and “Scar Of The Sun” on February 22nd, 2013, and as a sole supporting act to German horror metallers “The Vision Bleak”, in Athens Club Kyttaro, on February 15th, 2014. In the spring of 2013, Harris Kiriakopoulos and Aggelos Kousakis left the band, and were replaced by Vassilis Thomas on guitars and Nick Yngve on drums subsequently. In July 2013, the band changed its name to “Caelestia”, and steered its musical genre towards female-fronted melodic death metal. The band’s second album “Beneath Abyss” was recorded and mixed in Basement Studios (Athens), under the supervision of sound engineer Michalis Meleteas, while the mastering was undertaken by the world famous “Fascination Street Studios” in Sweden, under the direct supervision of sound engineer Tony Lindgren (Paradise Lost, Katatonia, Enslaved, Witchcraft etc.). At the same time, the album’s artwork was completed by renowned artist Seth Siro Anton (Septic Flesh, Paradise Lost, Moonspell etc.). The album consists of 10 songs (including 2 instrumental tracks) and features guest appearances by two world famous metal artists, i.e. lead singer Bjorn “Speed” Strid from SOILWORK and drummer Markus Freiwald from SODOM. Many Greek artists too, participated in the album’s recording, thus vocalist/guitarist Andrew Geo (Alter Self) and drummers Kostas Savvidis (Soulskinner, ex-Nightfall) and Nick Yngve (W.E.B.). The band has signed a contract with well-known Finnish label “Inverse Records”, and the official international release date of the album “Beneath Abyss” is scheduled for February 16th, 2015.